Stone Cottage Adventures: Featured at Raising Reagan! What a wonderful week! My post about Wee Fashionista's Beauty Sleep has been featured at Raising Reagan! Thank you, Lanaya! I am so very honored! 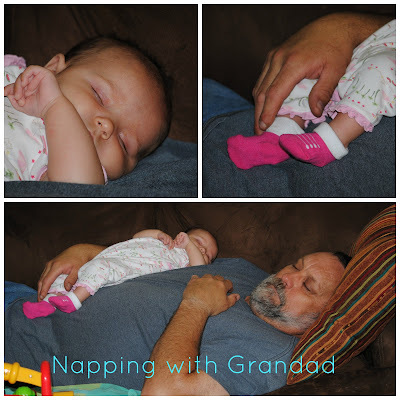 Napping with Grand dad what could be better. So cute!! Thanks so much for always dropping in!